Jaime Quinn is a NYS licensed Physical Therapist who began working with Professional in 2007, after graduating from Cornell University with a BS in Nutritional Sciences and a Doctorate in PT from Touro College. 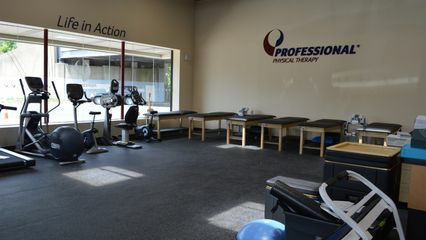 During Jaime’s tenure at Professional, she has treated athletes of all levels, including collegiate athletes and professionals in the NBA, NFL, and UFC, but enjoys treating patients of all ages and activity levels. As a former Division I lacrosse player at Cornell, she can empathize with the pain her patients may be dealing with, as well as understand their need to get back to normal as soon as possible. Jaime is an advocate of wellness and enjoys helping her patients understand what to expect during Physical Therapy as well as giving them the tools to maximize their own recovery. Jaime’s specialties include utilization of the McKenzie Method with her spine patients, as well as a diverse array of manual techniques to restore function in patients with musculoskeletal dysfunction.